“King Pin” Johnson falls to 34-12-1(18) but the 39 year old can still expect to pick up work whenever an up-and-comer type needs a good learning fight. Johnson, stopped just twice as a pro – by Anthony Joshua, who managed to wipe him out in a couple of rounds back in May of 2015, and by Petar Milas, who scored a TKO over Johnson in March of last year – really is one of the hardest men in the game to score a KO over. Last night’s fight was a pretty dull affair, much the same as Johnson’s last fight in the UK, when he extended Daniel Dubois the full ten rounds. Gorman was busier, he was the aggressor and he forced the fight. Johnson, though, used all of his experience to tuck up, roll with shots, fight off the ropes and basically survive. It’s not pretty, but what Johnson does is undeniably effective. Gorman pretty much knew by the middle rounds, certainly by the later rounds, that he was going to have to make do with a wide points win. Gorman wants a big domestic rumble with the aforementioned Dubois, as he again made clear this week. 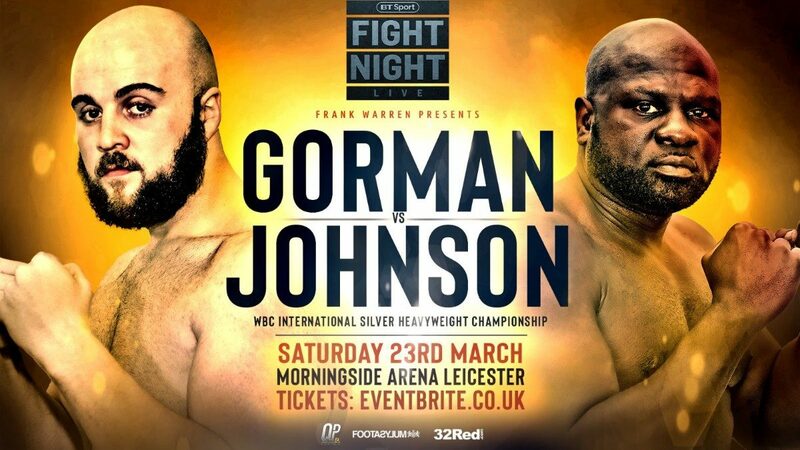 However, with the British Boxing Board of Control just last week ordering a fight between Dubois and Joe Joyce, for the vacant British heavyweight title, it’s possible Gorman will have to wait, maybe until next year – and there is no certainty Dubois would beat Joyce. The good news is the fact that the British heavyweight scene is so in interesting right now; with other good fighters such as Hughie Fury, David Allen, Kash Ali and one or two others out there looking for big fights.